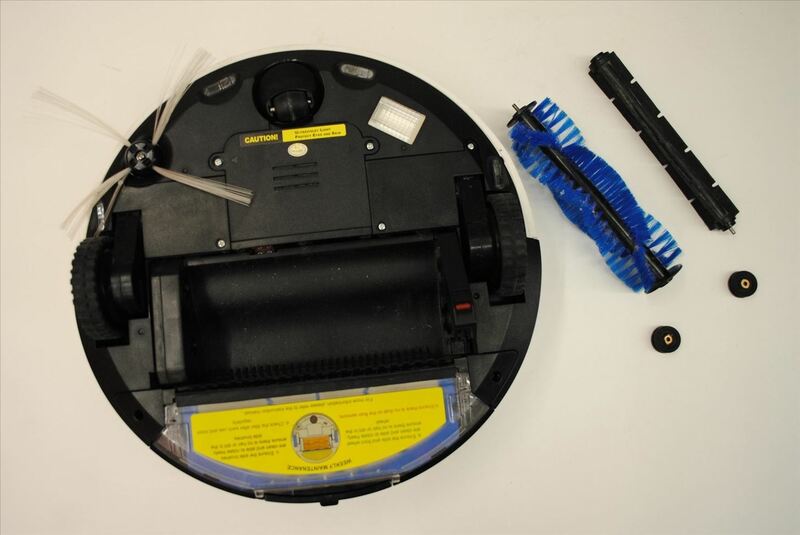 The following instructions lay out all the steps for regular maintenance of your vacuum. Remember, once in a while you should also remove and replace bObi's filter. There is another video guide available below for just that. 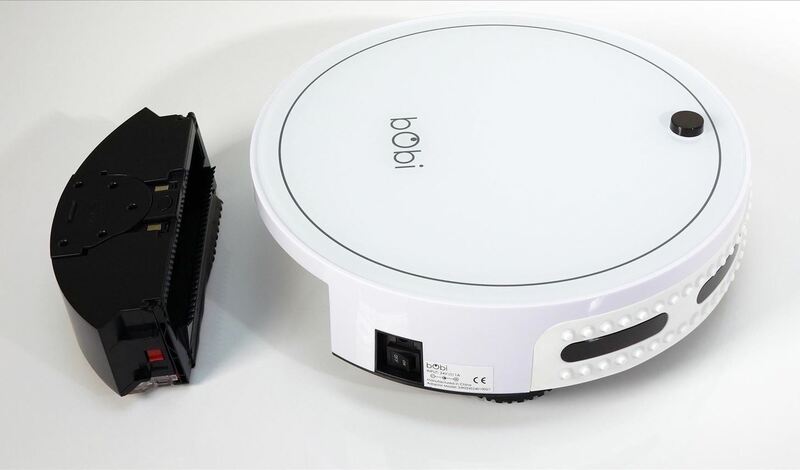 It is best to clean the brushes and empty the dustbin every time bObi finishes cleaning. 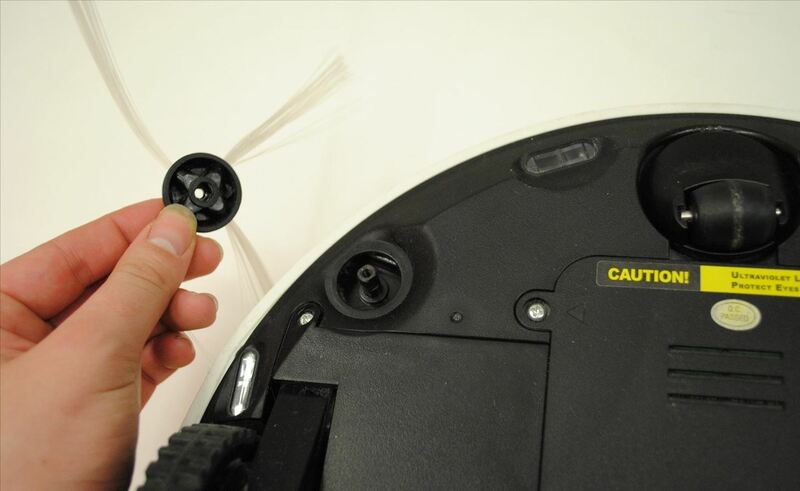 The side brush is secured to bObi with one screw. It can be removed with a Phillips head screwdriver. 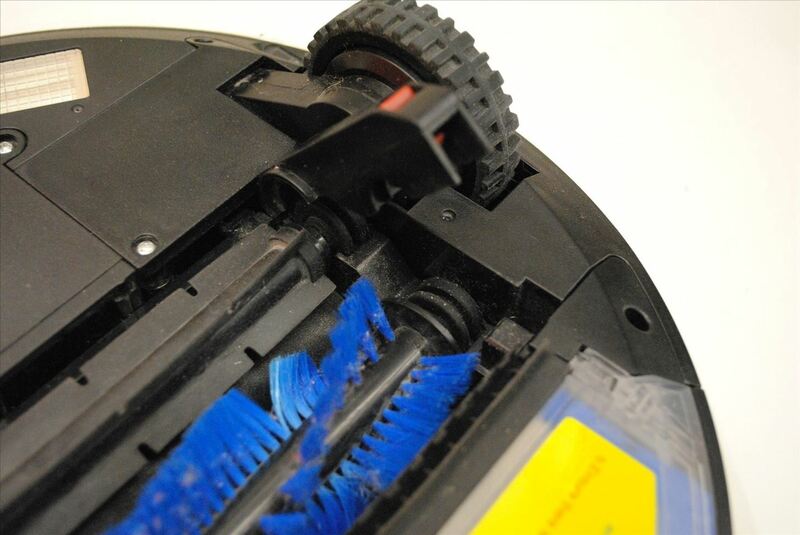 Make sure to clean out the area where it attaches to bObi and remove all dust and hair from the bristles. After that, put the side brush back in place and screw it in. On the right end of the brushes, you will see a small red button. Grip it and slide towards bObi's front wheel. Once it unlocks, lift upward to access the brushes. 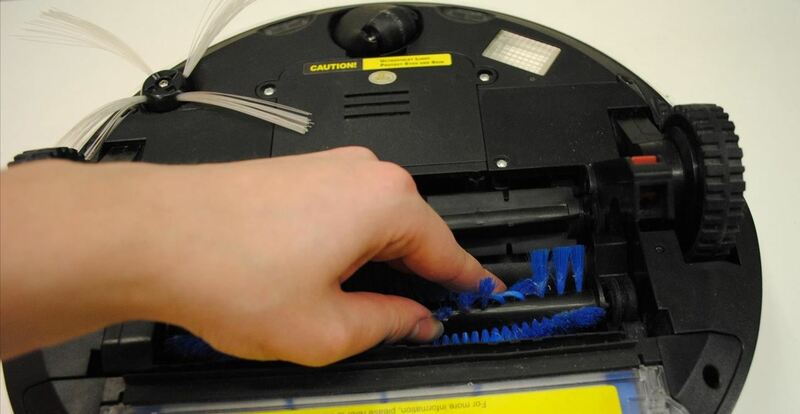 Pull each brush up then to the side to release from bObi. 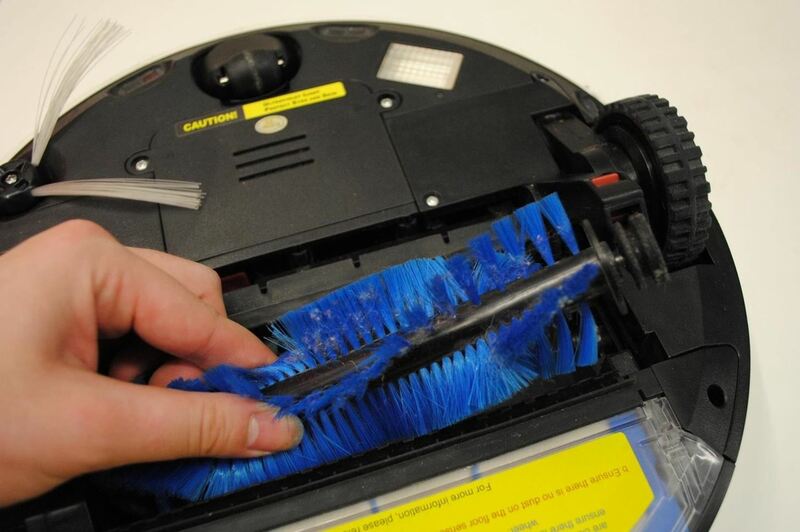 Use the cleaning tool or paper towel to wipe the entire brush compartment. Scissors are helpful when cutting hair that's wrapped around the brushes. 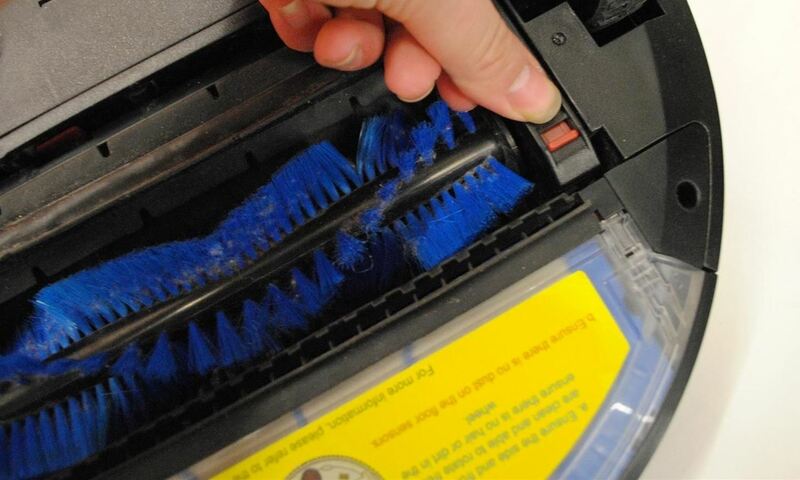 Remember to remove the rubber ends from the brushes, and clean each one thoroughly, from end to end. 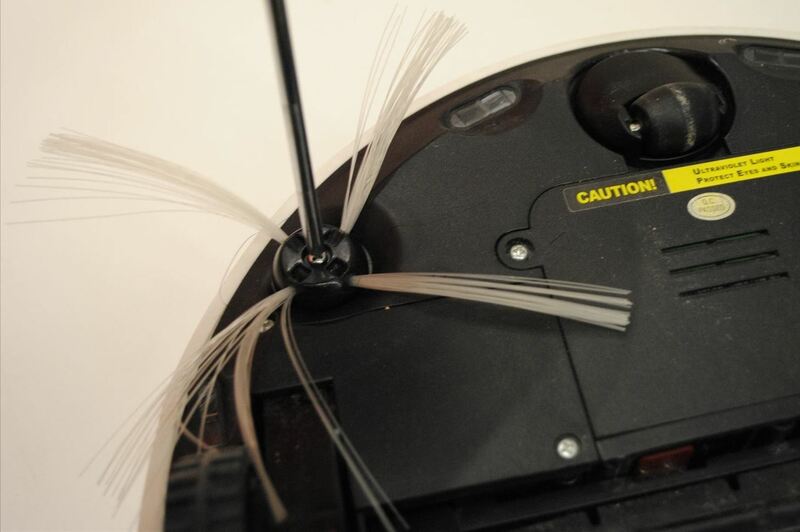 When finished, reattach the rubber end on each brush. Line up the opposite end of each brush with the indentations inside bObi, opposite the locking gate. The rubber brush goes in first. You will have to turn the brushes slightly and apply light pressure until they fit in place. Then lower the rubber ends and replace the locking gate. 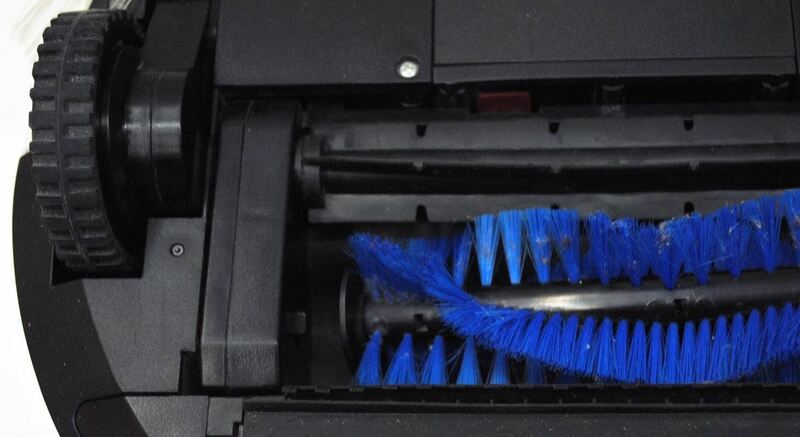 Push down so it locks both brushes on bObi. 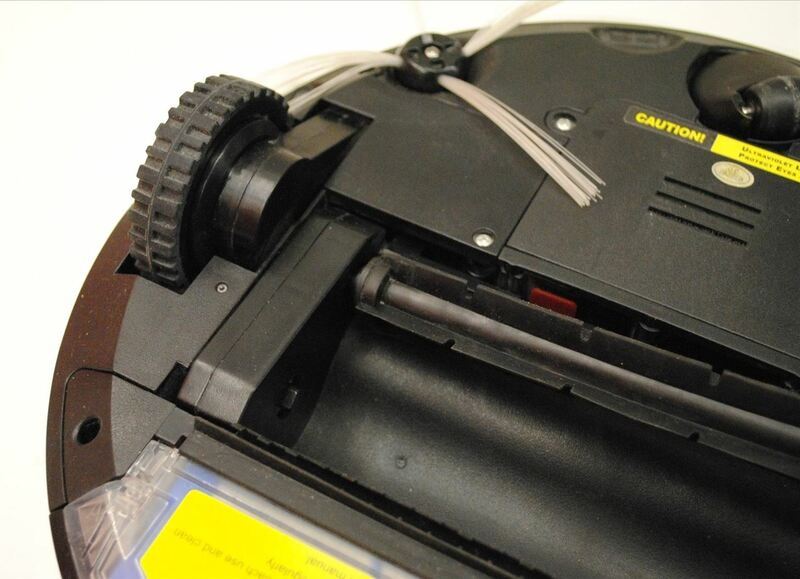 Removing the dustbin is as simple as pressing a latch on the back of bObi. Push the button down to release, then slide the bin out. Using both hands, pull them upward to unlock the dustbin door. 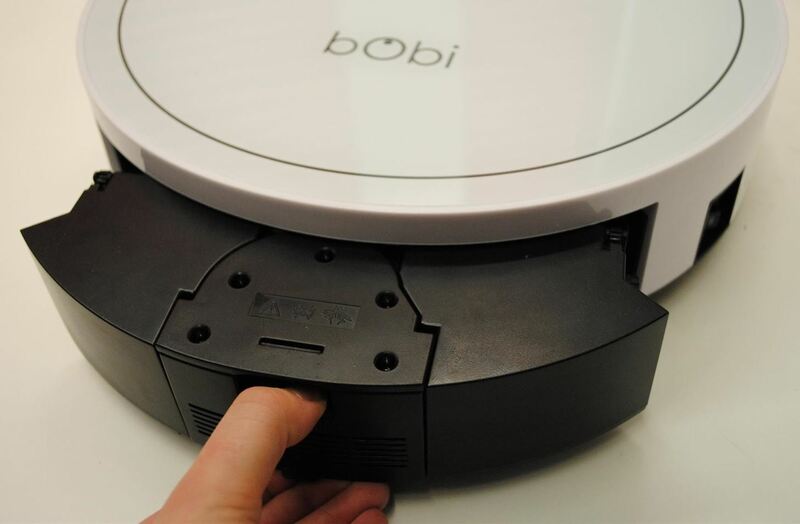 Once it releases, pull upward and pour out all debris collected by bObi. 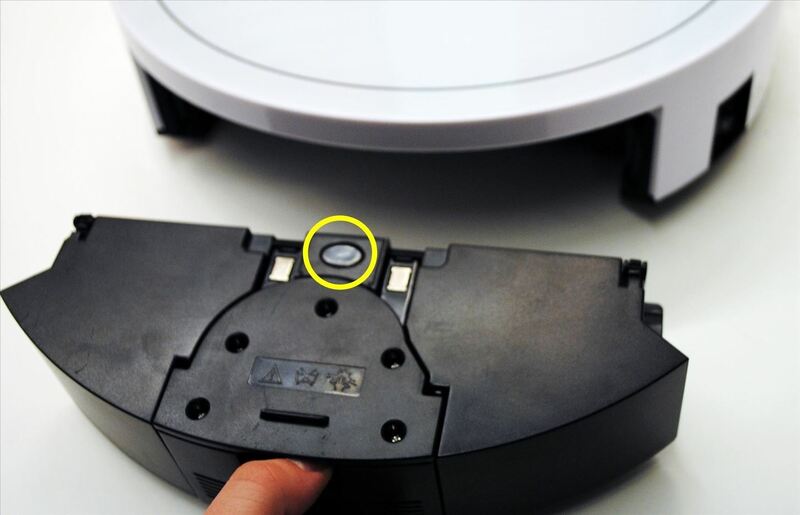 Use the cleaning tool to dust the inside. 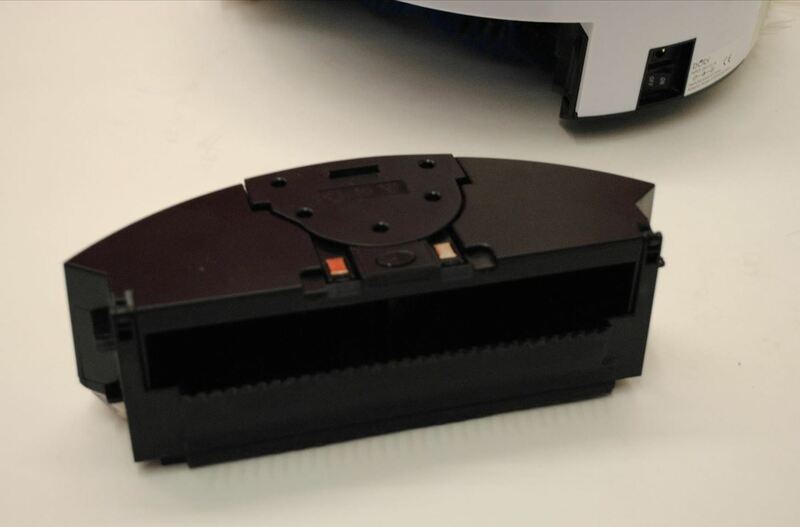 Your bObi may have a blue or red coloured filter. 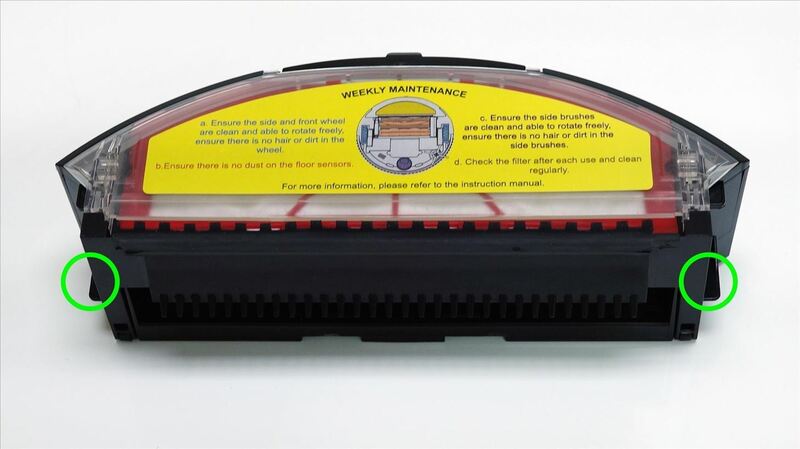 Both function the same and require the same steps for maintenance. 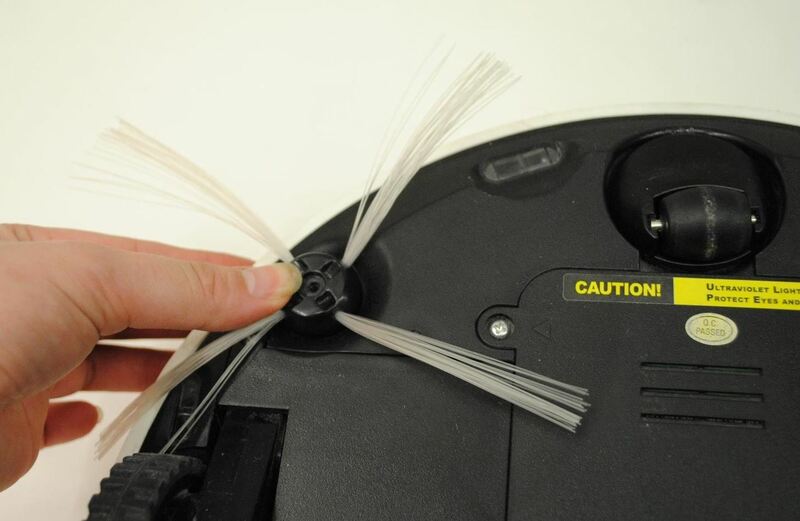 You should clean bObi's HEPA filter every 6 to 8 months, depending on the frequency and intensity of her work. After removing bObi's bin, flip it over to see the HEPA filter. 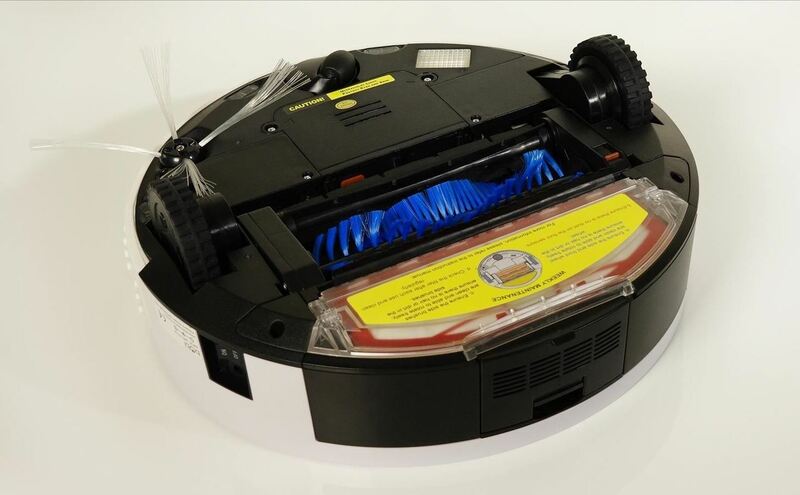 Lift the clear cover up, remove the HEPA filter and pour excess dust in the garbage. 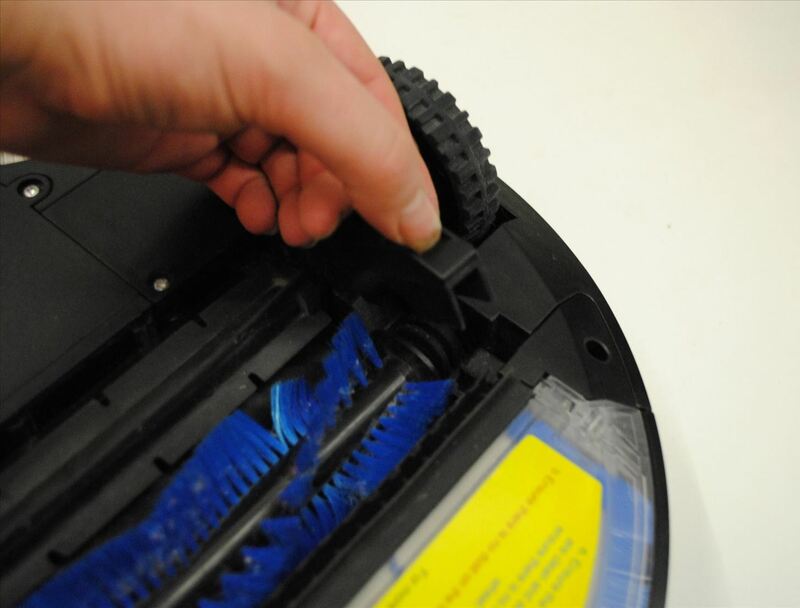 Use the cleaning tool or to brush the filter. 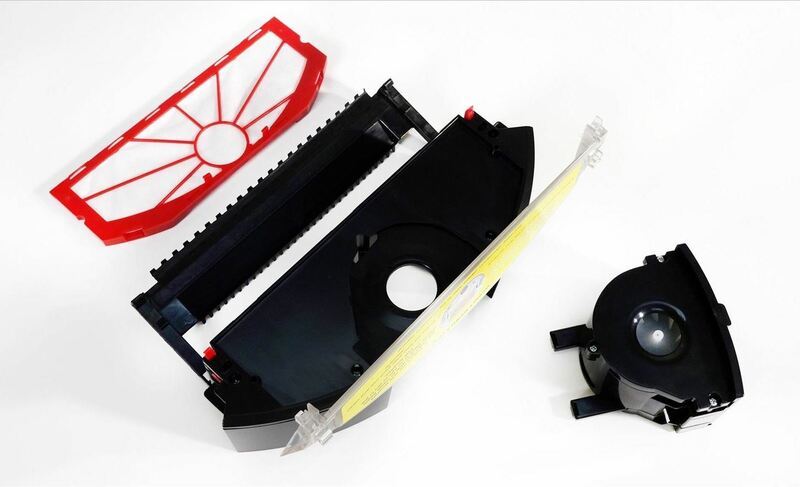 Once it is clean, replace the filter and close its cover. 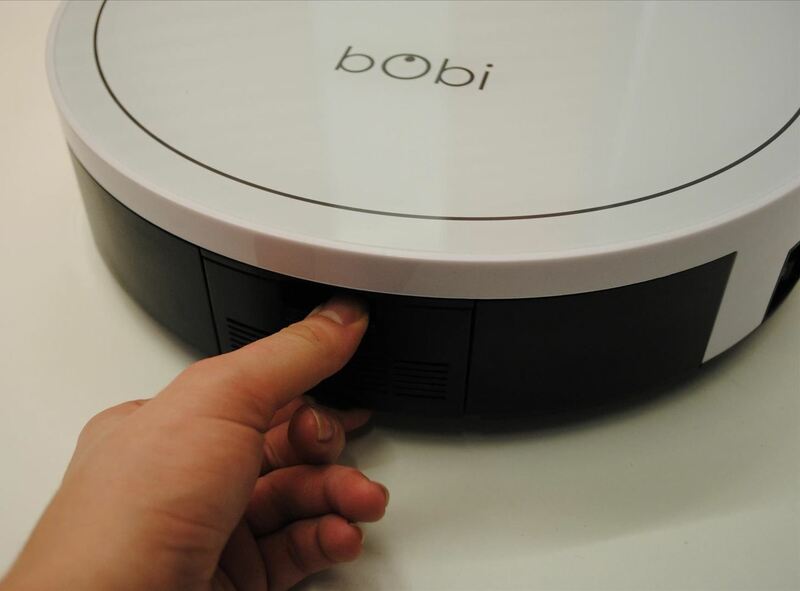 bObi's dustbin can be rinsed with water as long as you remove the vacuum motor and HEPA filter first. 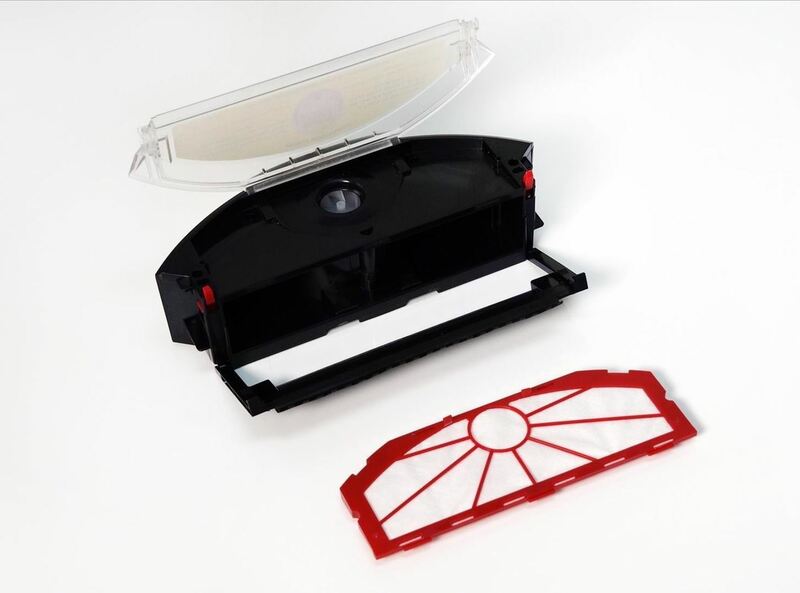 Keep the HEPA filter and motor aside and wash the bin only. 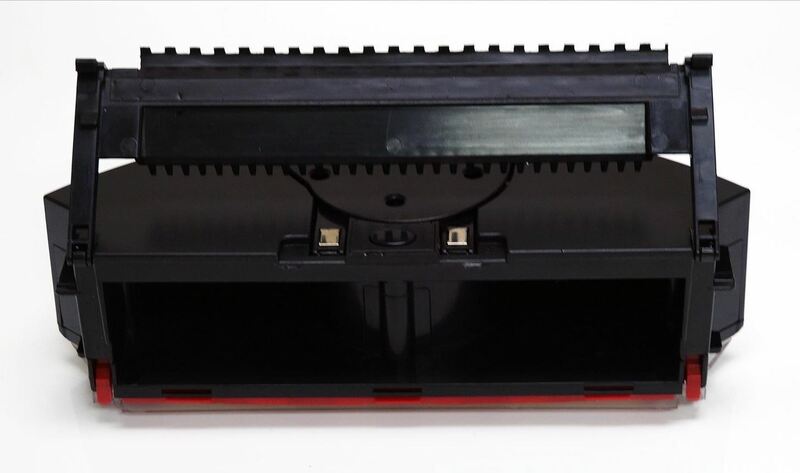 When finished, replace the filter and close its cover. Then close the dustbin gate. Both click when they have locked. Push the motor back into the bin. Slide it back into bObi, and she'll be ready to work again.